For decades, some of Wim Wenders’ films either remained unavailable due to unresolved rights clearances or could only been seen in poor quality due to material damages. The foundation began to digitally restore them in 2014 and as a result of this work, the public is today once again able to experience these films in optimal quality. Restoring Wenders’ body of work represents one of the central missions and greatest challenges of the Wim Wenders Stiftung. In preparation, the original film materials were brought together from various storage facilities and documented. The production documents were examined and analyzed with regard to the legal situation. In addition, an archiving concept with a classification scheme for the inventory and processing of both film and documentary materials is being developed. The restoration work itself consists of several stages: the evaluation of all source material, the scanning of the analog material, the retouching of individual frames from damaged film sequences by hand and the stabilization of individual frames, and the reframing of the image as well as its color correction. The sound was already processed digitally back in 2002 by André Bendocchi-Alves. After completion of the restoration work, the source materials are then transferred to the German Federal Film Archive for proper long-term storage. It almost goes without saying that a change of medium from the analog to the digital will rarely pass unnoticed. For this reason, particular attention is paid to maintaining the visual “charm” of the originally analog film images with the idiosyncrasies of their film grain. Whereas the reprocessing of classic films is typically supervised and assessed by curators and archivists in order to make careful decisions for a restoration “in the sense of the director’s original vision”, our situation provides one special advantage: The director himself is involved in the restoration process, thus guaranteeing a processing of the films that is far from an outside interpretation. The Wim Wenders Stiftung digitally restored eight films over the course of one year. Image processing was done by the company ARRI Film & TV under the supervision of Wim and Donata Wenders and was supported by grants from the German Federal Film Board (FFA) and the centre national de la cinématographie (cnc). Further films were transferred to current state-of-the-art high-resolution digital formats in order to be able to show them in cinemas and on television. The foundation will continue to pursue the preservation of the cinematic work of Wim Wenders and to thus make it accessible to the public on a permanent basis. Two of the already restored films offered special challenges in their restoration: The reframing of ALICE IN THE CITIES and the music rights of THE GOALIE’S ANXIETY AT THE PENALTY KICK. 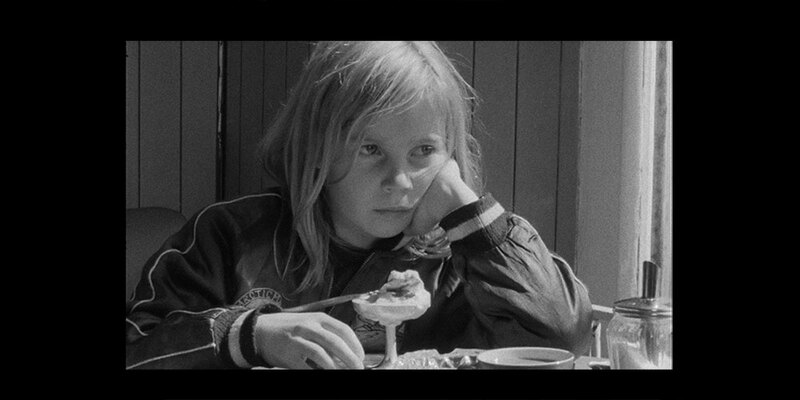 ALICE IN THE CITIES was shot on 16 mm black and white negative in the summer of 1973. For 15 years all copies in circulation worldwide were made from the original negative. 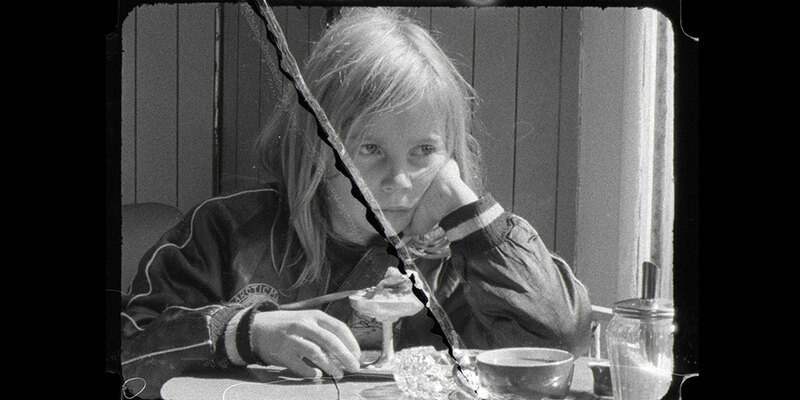 When a 35 mm dupe negative was finally made in 1988, the original material was already damaged by countless scratches, vertical lines and cracks. The digital restoration of the film was done in 2014. For this purpose, the original negative was scanned in a resolution of 4K using the wetgate method and retouched and color-corrected in a resolution of 2K. 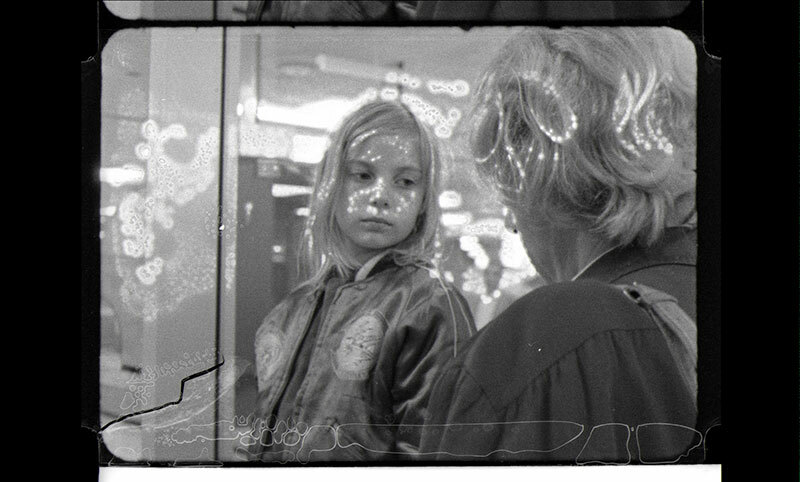 Individual sequences that were too heavily damaged in the original 16 mm negative were replaced with sections from the 35 mm dupe negative.Although shot in the 1:1.37 format commissioned by WDR, Wim Wenders and his cameraman Robby Müller composed the shots for the widescreen format 1:1.66 during the shooting. At the director’s request, the film was also screened in cinemas as such. In the course of its digital restoration, ALICE IN THE CITIES was now finally framed in this preferred format. THE GOALIE’S ANXIETY AT THE PENALTY KICK was filmed in Vienna and Burgenland in 1971. Based on the novel of the same name by Peter Handke, this was to be Wim Wenders’ first feature film. He would go on to work together with cameraman Robby Müller for many years, as well as with composer Jürgen Knieper and film editor Peter Przygodda. As the use of the music had not been cleared for the film’s international exposure, the distribution was soon completely restricted to television and in the end, the film remained more or less unavailable for three decades. Within the scope of the restoration in 2014 this problem was solved through the recording of new songs. For the restoration, the original 35 mm color negative film was scanned, retouched and color corrected in a resolution of 4K. was shot on 35mm Orwo b/w negative film in 1975. The digital restoration of the film was done in 2014. For this purpose, the original negative was scanned, retouched and color-corrected in a resolution of 4k. The film material exhibited serious damage from wear and tear in individual shots and the film base had shrunk considerably over the years. This required intensive retouching and stabilization, which proved to be particularly challenging due to the length of the film. All work was carried out at ARRI Film & TV Services Berlin and supported by funding from FFA German Federal Film Board for the Digitization of Content. was filmed in the fall and winter of 1976/77. The digital restoration of the film was done in 2014. For this purpose, the original 35 mm negative was scanned, retouched and color-corrected in a resolution of 4k. The original cut of the film was not altered in any way. The sound was originally mixed in mono and was remixed in Dolby Stereo from the original tapes. All work was carried out at ARRI Film & TV Services Berlin and supported by funding from FFA German Federal Film Board for the Digitization of Content. was shot in march and april of 1977 in France by Peter Handke. For the restoration the original 35mm color negative is scanned, retouched and color-corrected in a resolution of 4k. All work is carried out at ARRI Film & TV Services Berlin and supported by funding from FFA German Federal Film Board for the Digitization of Content. was shot in 1981 in Portugal and Los Angeles. The digital restoration of the film was done in 2015. For this purpose, the original 35 mm black and white negative was scanned in a resolution of 4K using the wetgate process and then retouched and color-corrected. All work was carried out at ARRI Media in Berlin and supported by funding from German Federal Film Board Digitization of Content Program. was filmed in the summer of 1983. The digital restoration of the film was done in 2014. The original 35mm negative was scanned in 4k, retouched and color-corrected in a resolution of 2k. All works were carried out at L’Immagine Ritrovata in Bologna and Eclair Group in Paris, with the generous support of the CNC. was filmed in Tokyo in the spring of 1983. The digital 2k restoration of the film was carried out in 2014. For this purpose, the original negative was scanned in a resolution of 4k. Vertical lines, dirt, water spots and warping had compromised the material heavily and required intensive retouching. The pastel tones of the cityscape, which particularly fascinated Wim Wenders at the time, were able to be recovered despite the strong discoloration of the original negative. All work was carried out at ARRI Film & TV Services Berlin and supported by funding from FFA German Federal Film Board for the Digitization of Content. was filmed during several phases of shooting in 1988/89. The digital restoration was done in 2014. For this purpose, the original negative was scanned, retouched and color-corrected in a resolution of 4k. The original cut and aspect ratio of the film were not altered in any way. All work was carried out at ARRI Film & TV Services Berlin and supported by funding from FFA German Federal Film Board for the Digitization of Content. was filmed from April 1990 to the beginning of 1991 and was shot on Super 35 mm Eastman color negative. The Director’s Cut of almost 5 hours was presented in 1994. The digital restoration was done in 2014. For this purpose, the original negative was scanned, retouched and color-corrected in a resolution of 4k. The original negative had collected dirt and shrunk slightly over the years, and also exhibited flawed splices and light scratching on the emulsion and base sides. All work was carried out at ARRI Film & TV Services Berlin and supported by funding from FFA German Federal Film Board for the Digitization of Content. was filmed in 1975 on 35mm color negative film with the aspect ratio 1:1.66. The 4k restoration has been realized in 2016.
was shot in 1986/87 on 35mm b/w and color negative film with the aspect ratio 1:1.66. In 2014 a DCP in 2k was produced by scanning the HD-Master at Criterion. The 4k restoration has been realized by the foundation in 2017.
was made at the Munich University of Television and Film in 1967. The digital restoration of the film was done in 2015. For this purpose, a 16 mm archive copy was scanned, retouched and color-corrected in a resolution of 2K. All work was carried out at ARRI Film & TV Services Berlin. was filmed in 1968 in Munich on 16mm reversal film. The digital restoration of the film was done in 2015. For this purpose, a 16 mm color dupe negative was scanned in 4K, retouched and color-corrected in a resolution of 2K. All work was carried out at ARRI Film & TV Services Berlin. was filmed in the summer of 1969 in Munich on 16mm color negative film. The digital restoration of the film was done in 2015. For this purpose, the reversal film material was scanned, retouched and color-corrected in a resolution of 2K. All work was carried out at ARRI Film & TV Services Berlin. was made at the Munich University of Television and Film in 1968. It was shot on 35mm b/w negative film in the aspect ratio of 1:1.85. The digital restoration of the film was done in 2015. For this purpose, the original negative was scanned, retouched and color-corrected in a resolution of 4K. All work was carried out at ARRI Film & TV Services Berlin. was shot in March 1982 in New York. The digital restoration of the film was done in 2015. The original 16 mm color negative was scanned in 4K for this and retouched and color-corrected in a resolution of 2K. All work was carried out at ARRI Film & TV Services Berlin. was filmed in 1980 on 35mm color negative film with the aspect ratio 1:1.66.
was filmed in Lisbon in 1995 on 35mm color negative film with the aspect ratio 1:1.66.
was filmed in Los Angeles in 2000 on 35mm color negative film with the aspect ratio 1:2.35. When referring to “resolution”, it is always also a matter of the specific technical system within which this term is being used or defined. We use “resolution” in connection with the number of picture elements or pixels (1 pixel = 1 information unit = 1 piece of information about color) which a scanner is capable of scanning, or which a television or projector is able to display. For digital cameras it has become customary to name the total number of pixels that a sensor can show (more sounds better), although it is of course important to consider the total area of the physical sensor over which the pixels are distributed. Simplifying it a little bit, we can say that the more pixels a camera or scanner sensor has, the more information can be recorded. Therefore, the higher the pixel concentration, the finer the structures which can be recorded and then “perceived”. It follows that the image in high-resolution pictures will be sharper due to the higher quantity of information recorded. Since the technology here is constantly being developed further, over time various standards have been established in order to keep the variety of recording and display devices manageable. Incidentally, these formats developed out of television technology. TV is rectangular but not square, and so it is that a format specification (when one doesn’t opt to add up all the pixels) normally consists of the possible horizontal and vertical picture elements, e.g. 1920 x 1080. However, as various rectangular formats exist (1:1.37, 1:1.66, etc. ), where the horizontal side is the longest one and the vertical side is adjusted accordingly, most of the time only the number of vertical pixels will be given (e.g. 1080). SD (or Standard Definition Television) is a format that was defined for television and as a result made its way into the world of video technology. The standard refers to a resolution of 720 x 576 pixels (width times height = 414,720 picture elements) and an aspect ratio of 4:3. It was replaced by the HD standard (High Definition). Due to rapid advances in the technology, different “sizes” developed within the HD format. The smallest is the “720” format, with 1280 x 720 pixels (equaling 921,600 picture elements). This is approximately twice as big as the SD format and accordingly equipped televisions were advertised as “HD ready”. Almost simultaneously the next largest format “1080” was already being introduced, featuring 1920 x 1080 pixels (equaling 2,073,600 picture elements). Devices which supported this format bore the label “Full HD” or “HD ready 1080”. Both formats are used for transmission of television broadcasts and for Blu-ray discs. The next largest formats from 2K on are not yet common broadcast formats in the world of everyday television production. The further developments within the HD format carry the labels 2K and 4K. “K” stands for “kilo” and means – as is also the case for weight – 1,000. Therefore “2K” stands for 2,000 and the resolution is a slightly improved Full HD resolution of 2048 x 1080 pixels. The vertical resolution has remained the same – the only thing that has changed here is that space for more information has been defined in the horizontal. The 4K format, also known as “Ultra High Definition” (UHD), represents a significant jump, increasing resolution to 4096 x 2160 pixels (equaling 8,847,360 picture elements). These two formats are primarily used to digitize films for cinema projection. For a normal color motion picture shot on 35 mm film stock, a subsequent digitization in a resolution of 2K will unfortunately fail to capture all image details or exposure, color and contrast spaces. In order to achieve this, a resolution of roughly 3K is necessary. When scanning a 16 mm film 2K is however sufficient for recording the entirety of the image information. Therefore 35 mm films intended for the cinema are scanned in 4K resolution and of course possibilities also exist to scan film stock in even higher resolution, which makes sense for example with 70 mm film stock. For the digital restoration of the films of the Wim Wenders Stiftung we not only scan the actual film image that you can see when viewing a projection print, we also scan the area around it, including the perforations. The positioning of the perforations in relation to the film image helps us to recognize fluctuations in the image and to counter them. The full film image in 4K resolution which we now also have at our disposal – and which has never been seen in this form in theaters or on DVD – also offers us the additional possibility of correcting the image detail in case it has suffered damage. For the scanning of the film stock we made use of the ARRISCAN, a film scanner specially developed by the company ARRI, which, in addition to “normal” material, is also able to process shrunken or moderately damaged film stock directly. For this purpose the running speed and contact pressure on the film material are both variable and it is possible to advance the film through the machine without using the perforations. The so-called “archival gate” allows for the above-mentioned capture of the entire film up to and including the perforations. Particularly dirty or scratched material can also be pulled through a fluid during the scanning process: with the aid of this “wet gate” process, dirt is removed and the fluid fills up scratches, rendering them invisible to the scanner.